1942 Aubrey went To work We went into Santa Maria late & came home & visited got print for a New Dress. 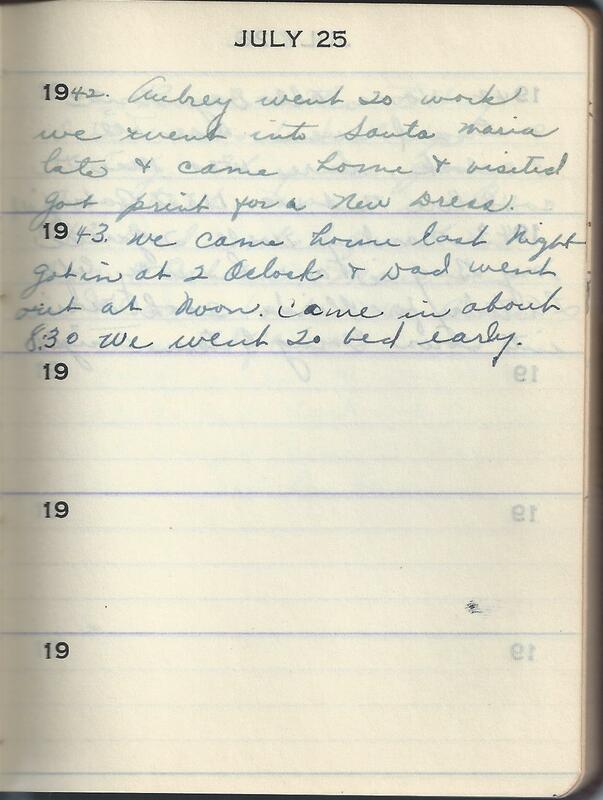 1943 We came home last Night got in at 2 Oclock & Dad went out at Noon. Came in about 8:30 We went To bed early. The no entries really make you wonder. Maybe some great stuff was never written down!